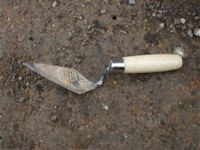 Prescot Dig - What tools do archaeologists use? 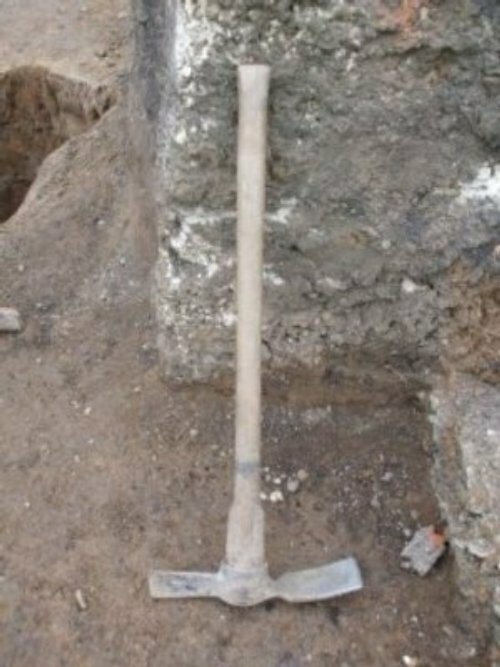 Archaeologists have to use particular tools to excavate their sites. Some of these tools are very specialised and expensive, and some are very common and cheap to obtain. 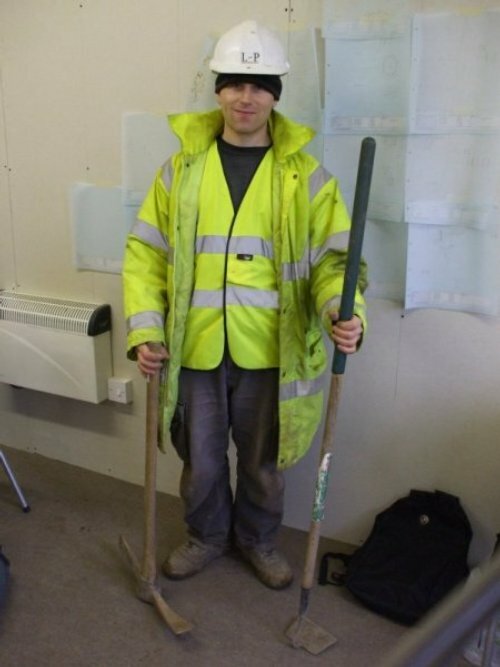 Exactly what tools are used depends on the size, location and type of soil on each site, and what is being dug up. The most expensive equipment used in archaeology are geophysical equipment such as resistivity meters, magnetometers ground penetrating radar and the sophisticated Global Positioning Systems and surveying equipment such as a total station. These types of tools cost thousands of pounds but do not require any invasive excavation to find areas of interest to archaeologists. The trowel and sometimes a garden hoe (as demonstrated by Greg in the photo ) is used to carefully scrape back dirt and soil in a controlled way. In areas that need to be dug up, the key tool in any archaeologists kit is the 4” pointing trowel. 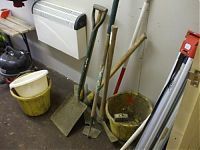 Small hand shovels, like coal shovels, normal sized shovels and spades, buckets and wheelbarrows are used to clear away the loose dirt, known as “spoil”, and take it to the spoil heap. Archaeologists also use mattocks, which are large hand tools used to break up hard ground. If the archaeology is very delicate and complicated, such as human remains, then sometimes tiny instruments like a dentist’s probe and a toothbrush can be used as well. Brushes are used to clean the surfaces of finds, and to tidy up dirt ready to take photographs. Sieves are used to examine samples of soil for smaller remains such as seeds, pollen and tiny molluscs.